Carl Lauren's company Tyee Custom Homes builds about 12 homes a year and about six of those are in Kimberley. Lauren says making homes energy efficient today is important because homes are going to last 50 years or more. The better the home, the more energy saved, and those lower emissions are going to be way into the future. All Carl Lauren wanted to do was promote the construction of energy efficient homes. It sounded easy enough. So a few years ago he called up the mayor of Kimberly, B.C. and suggested his hometown make constructing homes to the Built Green standard mandatory. The mayor at the time told him he was nuts. Cities can't do things like that! That didn't deter Lauren. The 37-year-old owner of Tyee Custom Homes and a board member of Built Green Canada persisted. "A lot of the stuff we talk about is encouraging local municipalities to push forward with energy efficient procedures to the best of their ability," says Lauren. "[But] we're bound by the bureaucracy of our own government not allowing local municipalities to override the building code." In B.C and elsewhere this is true. The exception is Vancouver, the so-called "charter city," that can write its own building laws. Several years later, with a more sympathetic mayor in office, they realized something. The city can control its own building permit fees. Together, they crafted a program whereby a rebate on building permits is earned for achieving a minimum EnerGuide rating. Kimberley's scale starts at a low of EnerGuide 78 and maxes out at EnerGuide 91, which is a super energy efficient home. "At EnerGuide 78 or 79, you get 10 per cent, and anything over 91 you actually get 80 per cent of your building permit fee back, says Lauren. 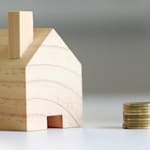 "Our homes typically range... between 83 and 90, so on average, we're getting $1,500 to $2,000 back on every single house." The city is interested in having quality homes built, and like most towns and cities in B.C. they have also pledged to reduce greenhouse gas emissions. "Our buildings are a significant contributor to our overall greenhouse gas emissions, and we're committed to reducing those," says Troy Pollock, manager of planning services for Kimberley B.C. "We set up this simple and easy program to encourage builders and building owners to build more efficient buildings." The city also created a similar program for retrofits providing a one per cent reduction in building permit fees for every single point reduction of EnerGuide. EnerGuide is widely recognized in Canada and "we can rely on local certified energy advisors to do that test and provide us the results," says Pollock. Lauren says the beauty of the Kimberley program is it can be used anywhere: "In its simplicity, they can just mimic what the City of Kimberly has done and implement it within a week." Carl Lauren's company Tyee Custom Homes builds about 12 homes a year and about six of those are in Kimberley. Lauren says making homes energy efficient today is important because homes are going to last 50 years or more. The better the home, the more energy saved, and those lower emissions are going to be way into the future. Tyee Custom Homes focuses most of their attention on insulation and sealing their homes to limit thermal bridging. They also install a sophisticated HRV system with a heat pump, on-demand hot water and a 98 per cent efficient furnace. "Right now, we're consistently getting 1.6 or 1.5 air changes per hour," says Lauren. "Our goal next year is to get under one." Homes with a rate of less than one air exchange per hour are among the best energy efficient homes on the market and candidates for reaching net-zero. Lauren's other company is Tyee Log and Timber. 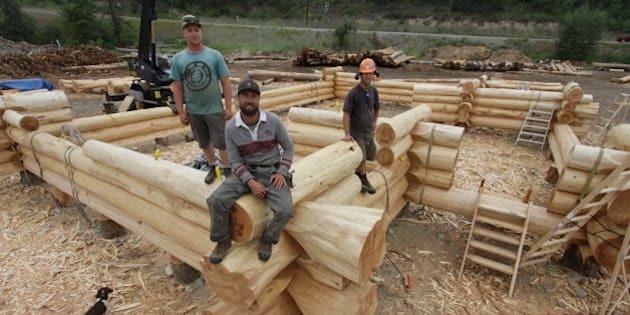 This company makes hand-crafted log homes out of Western Red Cedar right in Kimberley. "It's prefabrication, and it's all done by hand," says Lauren of the amazing log homes they build, reminiscent of the ones you see on the Timber Kings television series. "It's all hand scribed, hand cut, hand chiseled. Then we take it down, and ship it wherever it's going." Lauren says he is super passionate about building log homes and making them energy efficient. "We had to take that log home product full of gaps, and seal it so well that it would achieve the EnerGuide 86, which we did. I don't know any other log home companies who are doing that." We saw one of these homes being built in Kimberley and getting one of these log homes to EnerGuide 86 is a remarkable achievement. Lauren is a small custom builder in the Kootenay's of B.C., but his commitment to constant improvement and his efforts to create energy efficiency policy are helping raise the bar in the City of Kimberley, B.C. And since losing 600 mining jobs when the Sullivan lead-inc mine closed in 2001, Kimberley has been busy reinventing itself as a progressive, green, tourism oriented city in the mountains. A year ago the city built the the SunMine project, the largest sun-tracking solar farm in Western Canada on the brownfields of the old mine site. It's a long-term project but it seems Lauren is part of the making of the new Kimberley, B.C.